I've been meaning to get to room6 lately, and after seeing this picture all the more reason to. 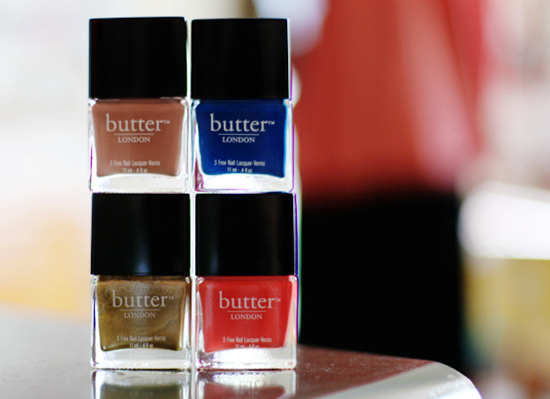 I love butter nail polish and (um that blue...). Maybe I'll treat myself for Mother's Day and take a little field trip. Speaking of which, Megan's got some nice things for Mom at the shop (if you're in the Deep Cove area this weekend) or like me, are looking for an excuse to buy blue nail polish. Click here to see! I just painted my toes with some Butter polish,love that stuff!